How many think their dog is the smartest dog in the world? I do too. Meet Angel. 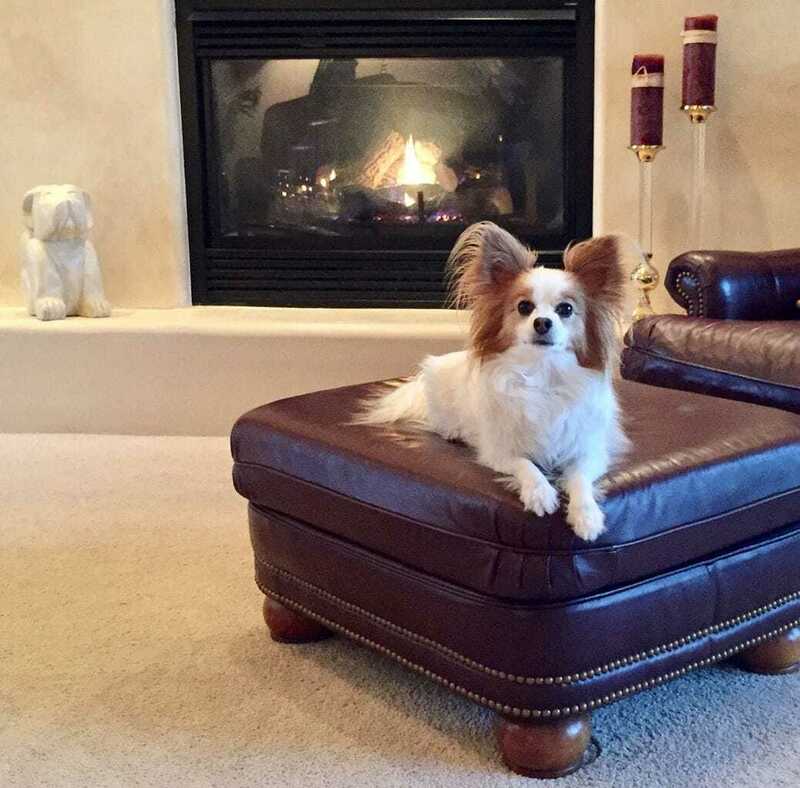 She’s all Papillon and all French, down to her diet that she actually demanded…all 10 pounds of her. She’s my constant kitchen companion and especially loves being directly by my feet when she hears me chopping vegetables. Angel is a veggie dog through and through and has been raised on carrots. She’s never been much for meat, but give her a raw vegetable and she’ll be your friend for life. She does have lots of other favorites too like Brussels Sprout leaves, and broccoli, and she goes crazy for bell peppers and Cabbage. And she even eats artichokes the way we do by pulling that fabulous flavor off the leaf. We often eat a salad together as she munches along. But she needs protein too, so she eats a small portion of scrambled eggs occasionally as well as a daily salmon based dry dog food. But it really is amazing what you can do with a veggie loving dog who sees vegetables as rewards. We’ve taught her to count, at least to 10, to give us high fives and to even speak French. Well anyway to understand the French words for lay down, sit down, and a few more. But she excels as a kitchen companion…and not unlike the little rat chef, Remy, in the movie Ratatouille, she carefully watches everything I do in the kitchen. I know.. This is like showing baby pictures, so I’ll stop soon but she also loves to dance, gives great hugs and even at 9 years old has the energy of a puppy. Hmmm… Think it might be her diet?